Lincoln Suites is a small family run hotel with seven 2 room suites. All suites are fully furnished with a large bedroom and large living area. 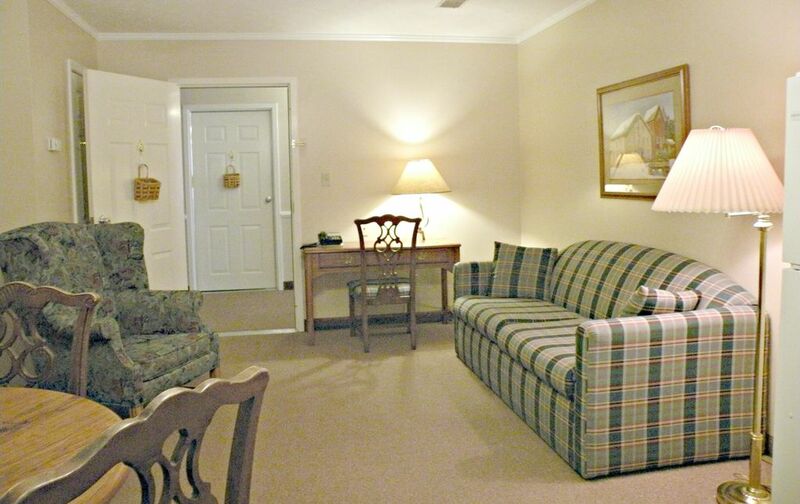 All suites have a full size refrigerator, microwave, kitchen sink, and coffee maker, 2 TVs and free WiFi. We pride ourselves on offering clean, quiet suites so that your stay will be pleasant and comfortable. We offer 1 night rentals and discounted rates for weekly and monthly rentals. Lincoln Suites is located in the center of the Bourbon Trail and is only 9 miles from the Maker's Mark distillery. Lincoln Homestead golf course is only 4 miles away. Clean, well appointed, and quite reasonably priced. For those who have decided to stay here, use the side entrance, not the suspect back one. The Lincoln Suites rental in Springfield, KY was very comfortable and home-like. Furnishings were more than adequate and very clean. The wifi was somewhat erratic, but that can happen anywhere. Communication beforehand was clear and helpful; our only suggestion was to use Cross Main as the cross street address rather than Lebanon Hill. A very nice place -- we recommend it to others!